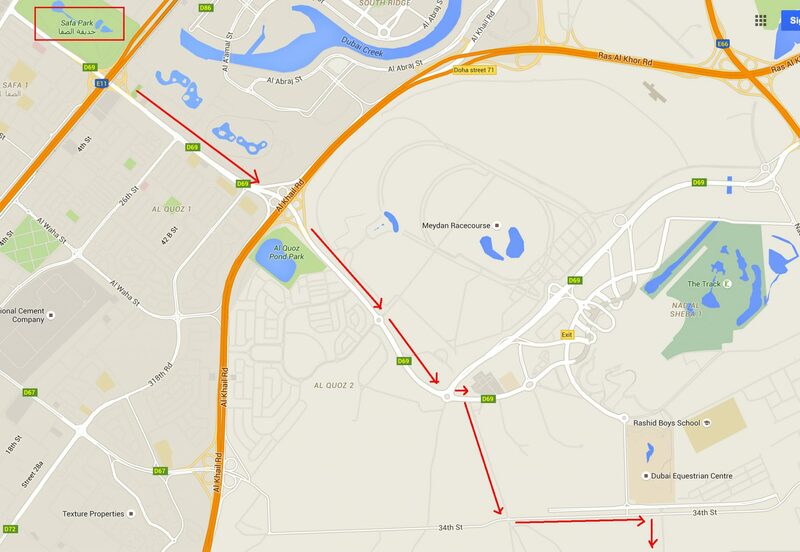 Directions: From Sheikh Zayed Road take interchange 2 and head towards Nad Al Sheba on Meydan Road. Carry on over Al Khail Road and carry on over two roundabouts. 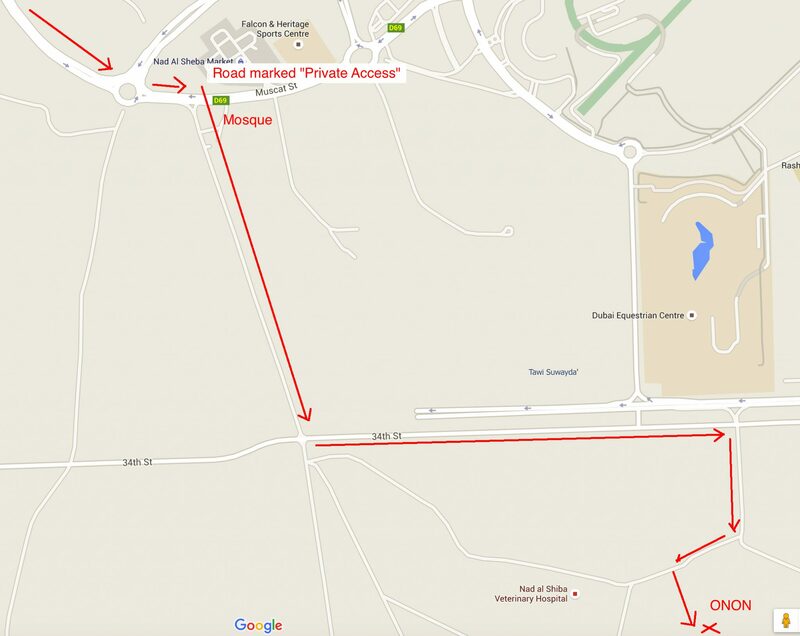 After the second roundabout, turn right onto the road marked “Private Access” just before the mosque. At the crossroads, turn left towards the new Emirates villas. About 1km down, turn right onto the road marked “Vet Hospital.” Follow the road around bearing right where it forks. Follow signs for the ONON.